I must admit, I know little-to-nothing about Puerto Rican food. Had I not won the Trucko de Mayo raffle prize (I really stole the food truck coupons from my wife, the true winner), I would have never discovered the sheer awesomeness that our Island Territory hermanos and hermanas dish up. Having a few friends who hail from Puerto Rico—and who “coincidentally” know a lot about, and like, food—I should not have been so surprised when I happened upon Borinquen Lunch Box. Borinquen prides themselves on serving up authentic Puerto Rican cuisine from scratch. After experiencing their food, I can understand why they are proud of their product. As I sauntered through Franklin Park, I spotted the truck and bee-lined to the front of the queue. One of the fun parts of this little food truck “project” is chatting with the good folks who work in these roaming kitchens. Just about every one I have visited so far usually get a kick when this big, fat dude shows up with the winning ticket. For the Borinquen lunch prize, they offered me the choice of their Cuban sandwich, or something called a Tripleta. Being the food snob that I am (not really—I like it all), I opted for the tripleta, which is far less passé than a Cuban sandwich (that’s like so totally 2010). My Spanish classes from high school are just some of the myriad pieces of my memory that have been sucked into a deep black void in the time-space continuum. Or just depleted by cerveza. After eating the Tripleta sandwich from Borinquen, the language lessons came flooding back and I remembered that tripleta is Spanish for AWESOME. Borinquen’s Tripleta sandwich is a tantalizing combination of meats made up of roasted pork, beef skirt steak, and ham, otherwise known as The Holy Trinity of Taste on the food pyramid. Dressed up with a little lettuce, tomato, and dried potato sticks (which add the effect of sprinkling Ruffles on top of your sandwich), the Tripleta is served on an eight-inch pan sobao bun. I had to look up pan sobao on my Google machine, which tells me that it is lard bread. Many people cringe at each and every utterance of lard. Me? I drool uncontrollably knowing that I am about to bite into something that will probably rock my world. My world was indeed rocked…hard. While I don’t know too much about Puerto Rican fare, I know a lot about sandwiches and this one found its lofty place among my personal pantheon of sandwich deities. It also filled me up as I was barely able to finish this gift of carnal pleasure from the gastronomic gods. As I mention above, the sandwiches are fantastic. Also, try their empanadillas. I like the beef ones the best — probably because there is inherently more tender juicy lard in beef. The alcapurrias, fried plantain fritters stuffed with ground beef, are also magnifico and aren’t found many other places in DC (that I know of). If you don’t want a sandwich, they also serve soups, which look pretty good, but it’s not an awesome Tripleta, so caveat emptor, dude. They were very nice and I had a fun little chat with the owners and purveyors of awesome sauce. They even gave me a shout-out on Twitter! Recommended dish: The Tripleta, though I’m sure the Cubano is a solid choice as well. 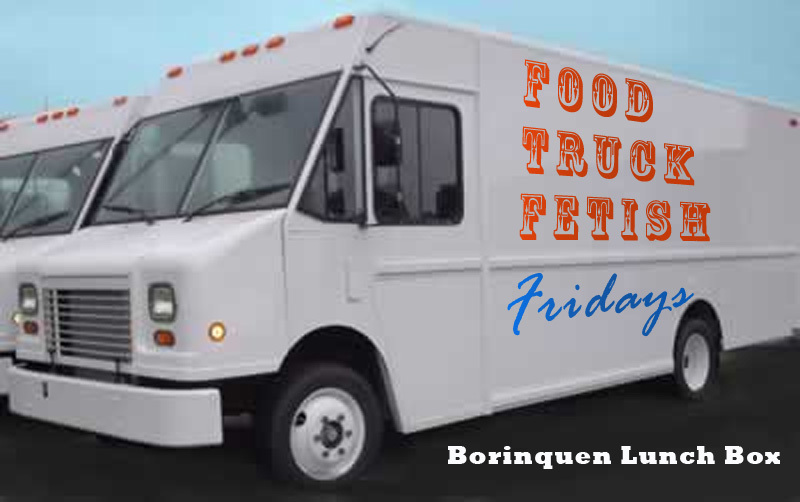 This entry was posted in Lifestyle and tagged Borinquen, DC, food truck, lunch, tripleta, Washington by Troy Beckman. Bookmark the permalink.